In my last piece, I compared the Hong Kong democracy movement to other nonviolent freedom struggles, focusing on three ultimately successful ones, the Indian independence struggle, the US civil rights movement, and the eastern European fight against Communist dictatorship. While these movements are today regarded retrospectively as successes, we noted that what they have in common is that 1) they took decades to accomplish their aims and 2) they required a deus ex machina beyond their control as a catalyst for realization of their aims (respectively, World War II, Lyndon Baines Johnson and Gorbachev). The conclusion drawn from the comparison is that freedom struggles are often long, hard and uncertain, and rarely are freedom struggles powerful enough in themselves to accomplish their aims; they usually need other forces to align with their interests. Those struggling for freedom must persevere even when the outcome appears highly uncertain and distant. They must continue to exist until the opportune moment. Today I look at some ‘failed’ freedom struggles, namely China ‘89, Iran ’77-‘79, Burma ’88-’90, and Egypt ’11-present. Note that all four of those countries are still ruled by authoritarian regimes. Liu Xiaoming’s attack in the Telegraph. Hong Kong has not, as Lord Patten appears to believe, been bequeathed democracy by Britain. For more than a century and a half, Britain had total responsibility for the territory – and did nothing to encourage or produce democracy. It is therefore the rankest hypocrisy of people such as Lord Patten to criticise China for any perceived failings to introduce democracy. 1. Since Liu Xiaoming is so interested in history & ‘rankest hypocrisy’, we’ll take up the matter ourselves in the following tweets. Did Reuters Get Lost in Translation Over Official Quote? According to the article, two anonymous sources confirmed that Zhang Xiaoming, the head of Hong Kong’s China Liaison Office, made the comment to pro-democracy lawmaker Leung Yiu-chung when asked whether a democrat could ever become Chief Executive. Our friend the accountant is, typical of a certain sort of Hong Kong person, generally apolitical. Whatever else you might say about him, he certainly isn’t a rabble-rouser. But that was his sympathetic comment about Occupy Central: “When you’re pushed around, what else can you do?” To him, Occupy Central is a logical response to bullying: Either you back down and comply with the bully’s wishes, or you stand up to the bully- there isn’t much middle ground. In a nutshell, that is the dilemma Hong Kong faces at the moment—what to do with a big bully. How much did Joe Chung anger the Hong Kong and Beijing establishment, and what were the results? Chung was one of the most controversial authors on the popular but now-defunct House News, a Hong Kong-based news website and content aggregator founded by former radio personality Tony Tsoi and others to cover covers politics, business, lifestyle, media, and local news. Tsoi abruptly killed the site on July 26 despite a readership of 300,000 unique visitors a day. He has been incommunicado since. However, in a notation on the website, he said he and his family were under pressure and that he was particularly fearful of what he called the White Terror. Some observers credit Chung’s aggressiveness as one of the factors in the closure. Among other articles, his allegations of academic plagiarism of Xi Jinping’s PhD were believed to have caused House News to be shut down for several days due to hacking allegedly carried out by Chinese hackers. Occupy Central’s Greatest Weapon – The Law! 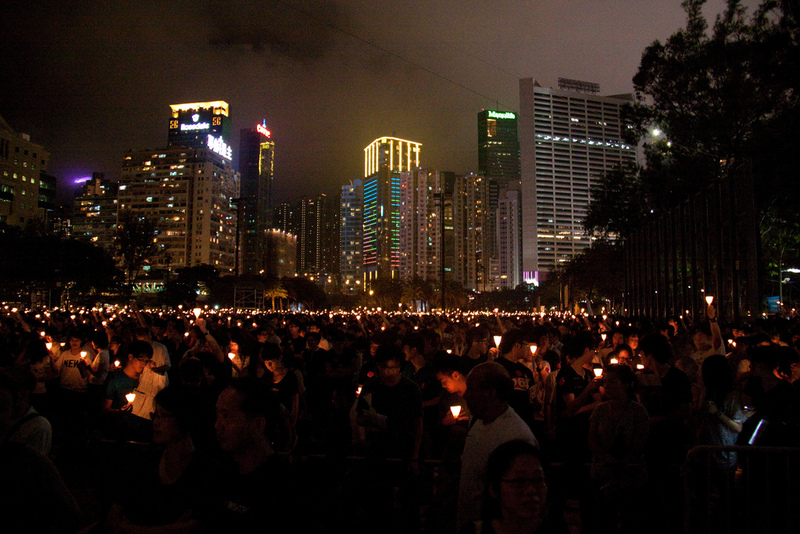 Beijing wants a subjugated Hong Kong like Macau is today. High on money, low on morals and locked-down on any real freedoms. That’s the model they desire for Hong Kong. However, the political awakening that is happening in Hong Kong now rejects this model for the city. The students are now the foot soldiers in an opening front to protect the Rule OF Law in Hong Kong. The students know they can go onto the street and break the law in a small way to prove that the law is still just. The CPC can not play this kind of game in Hong Kong yet without becoming the biggest loser. Currently the laws of Hong Kong are steadfast and are guarded by a robust and dynamic internationally recognised legal system. If things get bad, Beijing can throw out all the laws of Hong Kong and declare a state of emergency and impose marital law on the city – but if they do this, they lose. They lose an international city and the Hong Kong stock markets will crash and China will be an international pariah once more. Enormous proportions of the CPC’s wealth will be lost in a HK crash. Most Hong Kongers on the streets at the time will not care if the HK Stock Exchange collapses, Why? Because they have no interest there. That ship sailed for them years ago. Most Hong Kongers can barely afford housing or schooling, let alone stocks. Even Hong Kong’s once influential middle class have been pushed out of this market and struggle to survive in a city dominated by CPC corrupt money, The CPC will be the biggest loser in any lock down of the city. They will effectively be killing the goose that lays the golden eggs.